I have no idea why I decided to watch this movie; maybe because there are just no good films on at the moment and this seems like the best option...? It's not amazing, but it certainly did kill time. 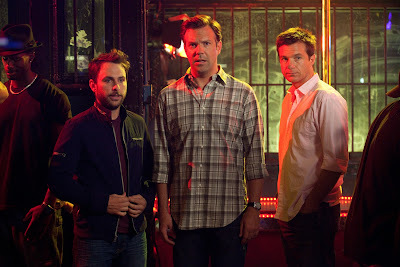 Dale (Charlie Day), Kurt (Jason Sudeikis) and Nick (Jason Bateman) hates their bosses Julia (Jennifer Aniston), Bobby (Colin Farrell) and Dave (Kevin Spacey) respectively. They plot to kill them. I don't know what else to say- that IS actually what the plot is about! Here's a little background. Julia drives Dale insane by constantly making highly inappropriate sexual advances as he's engaged, Bobby does not care for company his father built which Kurt has worked long and hard for and Dave led Nick to believe he was getting a promotion only to absorb that promotion himself. With the advice of assumed hit man Dean Jones (Jamie Foxx), the three friends plot to kill their bosses with a not so elaborate scheme. The three story lines are not completely believable and highly exaggerated, though definitely the catalyst for the humour. I thought the most hilarious one was Julia and Dale's outrageous working relationship. The plot was supposedly straightforward but I thought the execution was a bit of a mess- there was some sort of structure but it fell through about halfway and then it became slightly predictable what would happen. The beginning and the end was well structured but there was a lot of mess in between. I can't actually remember a lot of what happened or the order in which it happened even though I just watched it! That said, there were several humorous bits dotted throughout the movie. I liked the scene with the 'wetwork man' with Ioan Gruffudd in a cameo role- it was predictable he wasn't actually a hit man but it was hilarious nonetheless. Talking of the ending, which was also predictable, it was snappy and short and it did leave you wanting for a bit more. The film did build it up to be a big climax but didn't really follow through- though it was acceptable how each of the three storylines got tied. With such a large cast, it was quite difficult to see them all shine. The three male leads did a good job at showcasing their individual character's personality, and bonded well together. Jennifer Aniston was her typical film self. 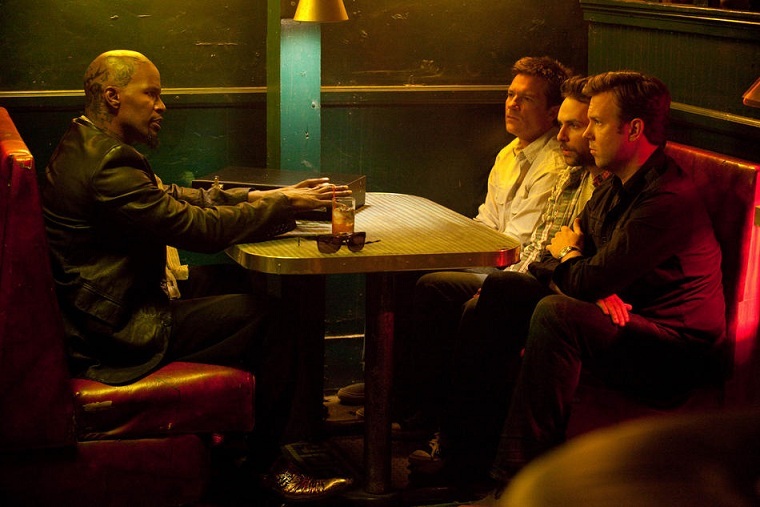 Jamie Foxx also eluded a mysterious style that he carries in his movies. 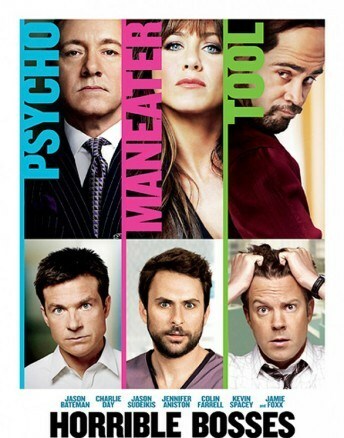 'Horrible Bosses' isn't anything new in the movie world, nor is it a must see, though for fans of any of the actors here, or just want a mindless time killer, this could be for you. I wouldn't watch it again unless I was completely bored- there are MUCH better films out there! Dale (Charlie Day) was the one who made me chuckle through the majority of the movie. His paranoid acting just makes me laugh! I definitely plan on seeing this movie again very soon. I will be using my movie pass to see this again. I am really excited because the Blockbuster Movie Pass will give customers a huge selection of DVDs like Horrible Bosses, along with TV shows and games by mail. Since it is being offered by DISH Network (who is also my employer), there are 20 channels that are included with the Movie Pass in addition to the thousands of movies and shows that you can stream to your TV or PC! Blockbuster also has many stores that you can exchange DVDs at and Blu-Rays are included! For all that, $10 per month is fantastic!